Google Hangouts will be getting the Smart replies similar to Gmail. Google has announced new tools and capabilities for G Suite to improve productivity and accuracy. In last one year, the tech giant has already added almost 300 new capabilities to G suite. Now, it will be adding more tools that feature some tools powered by AI for the users. The Mountain View company announced all the new tools and addition at Google Cloud Next Conference. 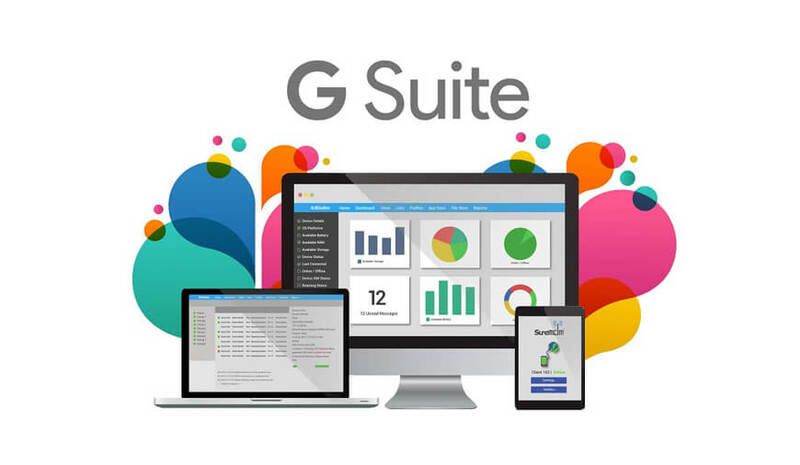 According to Google all the new tools and features aim to improve the performance and productivity of the G suite users. With the introduction of new tools, the Security Center, which was introduced by Google earlier this year also received a new Investigation tool. The Investigation tool is a much-needed option for the admins to improve productivity. The tool comes with an easy to understand UI and can be accessed from a single place by the admin. With the investigation tool, admin can easily identify the users have been impacted, remove the access to drive or delete the malicious emails. However, the investigation tool is available under the Early Adopter Program (EAP). Besides, now G suite users can also choose the region where they want to store their primary data in the selected G suite apps, either the US or Europe. You must be aware with the Gmail smart replies, and now it's coming to the Google Hangouts for the G suite users. This means you will get three pre-written reply option for Google Hangout messages. If you went through Google I/0 2018, then you must know about Smart Compose that Sundar Pichai talked about at the event. Now, the Smart compose is finally coming to G suite. The tool automatically completes your email with additional information like greetings, and sing-off statements. Besides, it also adds the information like your office or home address to the emails. In order to tackle the grammar related problem in the docs, a new Grammar Suggestion is also introduced by Google. It will spot the spelling errors and grammar mistakes in your docs. The tool is even capable of identifying the critical grammar clauses and rectify them for you. The Grammar suggestion tool is also available for the G suite users having access to Early Adopter program. We're incorporating the power of AI into everything you do." said Diane Greene, head of Google Cloud at the Next keynote presentation on 24 July. Google will be adding the support for voice commands in the Google Hangouts Meet Hardware for the users. With this, the G suite users will be able to get the AI assistance in the Meeting room similar to Google Assistant on smartphones. All the announced new tools are available for the G suite users via EAP for now and will be released later this year. NEXT The Future of Artificial Intelligence And Its Impact On The TV Industry!